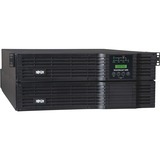 Tripp Lite's SU6000RT3U on-line, double conversion UPS protects server, networking or telecommunications equipment from blackouts, voltage fluctuations and surges in a compact tower / rackmount housing. 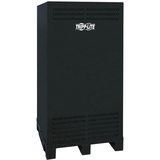 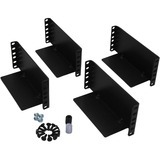 In rack configuration, power module, step-down transformer and battery pack occupy only 3 rack spaces each (9U total). 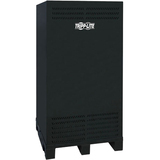 Upright tower placement of entire system supported with included tower stands. 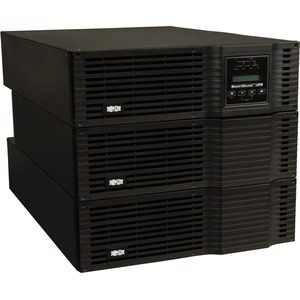 Large capacity 6000 VA / 4200 watt power module converts raw input AC to DC, then back to perfect sine wave AC output within 2% of user-selectable 200/208/220/230/240V and 120V AC output voltages. 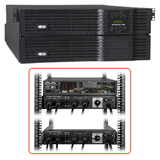 Frequency regulation locks output power to 50/60Hz (+/-0.2 Hz), removing harmonic distortion, fast electrical impulses and other hard-to-solve power problems not addressed by other UPS types. 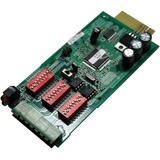 Perfectly regulated, continuous sine wave output with zero transfer time offers guaranteed compatibility with all equipment types. 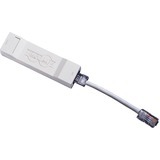 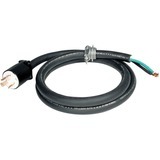 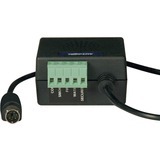 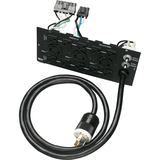 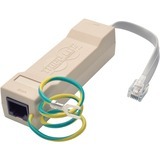 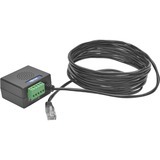 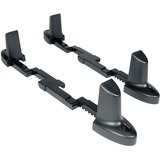 Hardwire input and output connections support a variety of permanent or PDU style power connections. 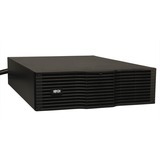 Battery support can be extended indefinitely through the addition of external 3U rackmount battery packs (part# BP240V10RT3U). 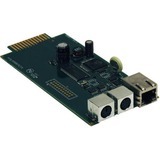 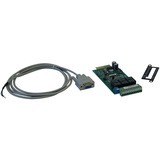 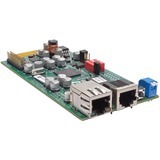 Includes slot for internal SNMP/web card, plus DB9 enhanced serial monitoring port for unattended shudown, remote control and monitoring of UPS system and power data.